Looking to gather at major local events to help promote Carvin. Reply to me if you are interested. tlully wrote: Looking to gather at major local events to help promote Carvin. Reply to me if you are interested. I'm not too far away (Clemmons) I was thinking of trying to get a bash going as well. Lots of Carvinites in the area, including one site moderator/endorser. Please keep me posted. Let me know - I'm inGreensboro. Has Bundy checked in yet? What is your forte? Are you a musician or an audio engineer... etc. Guitarist...run sound when needed and have recording Eng. experience but don't have any equip. of my own. Just love playing my Carvin!!!! Well I am right up the road in Belmont near Twin Tops Fish Camp. Are you playing in a band or interested in playing in a band? Just got out of one back in Nov. Sorta been regrouping since. Not really sure what I wanna do at the moment, I'm stuck on 2nd shift but hope to be back to 1st by summer. That in itself is a hard schedule to work around. That being said I do like to jam and have some fun making music on the weekends. I like 70's, 80's rock and gospel. What kinds of music you into? I'm in Sumter SC but would love to make it to a Carvinite Gathering if my work and gigging schedules permit it. scgoatman wrote: I'm in Sumter SC but would love to make it to a Carvinite Gathering if my work and gigging schedules permit it. Drop me a line when you may be in the area, I always enjoy guitar and beer time on the back porch!! OK... Very Good..! Too Funny..! I have tried to get a bash organized in the area a few times, and they usually fall apart over finding a suitable venue. Clemmons is convenient to I-40, but there aren't any good rental halls. Winston_salem is too expensive, they are under the mistaken impression that they are "all That". I'll give Bundy a call and see what is available in his area, and if anyone has any suggestions, post them here. I would love to see a bash in the area. 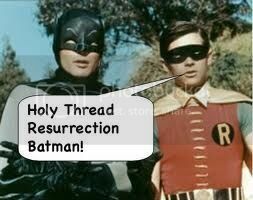 So....thread re-resurrection/possible off topic. Don't hate me! I'm not from the Charlotte area, but I'd like to talk to some people who are. I'm thinking about moving there. Is anyone on the board a professional musician in the area? I have long been considering finding a teaching gig (I have a masters in music theory), and moving to wherever the university is that hired me, but lately I've had some things happen that made me reconsider being a full time musician again. I can read, I can play a variety of styles - bar gig sideman, club gigs, theater pits, recording sessions... I play bass, too (shameless name drop - I studied with Steve Bailey in college). Which is all to say, not so much "hey look at my resume!" but rather "do you think I could get a lot of gigs in Charlotte?" I'm over in Asheville. It's a real music town. gumbynotpokey - ha! I've thought about Asheville. It has some downsides to me for personal reasons that I kinda don't want to get into. But downsides could be tolerated if I could find steady work there.